Concrete resurfacing can transform any home in the Los Angeles area, revitalizing the appearance of your most used surfaces. Sky Renovation is the general contractor Los Angeles residents trust to handle all their remodeling jobs, and walking surfaces are just one of our many specialties. Concrete resurfacing is one of our most popular services, since it allows you to revamp the appearance of your old slabs without the need to remove them and pour fresh concrete. Instead, concrete resurfacing can be performed using special polymer-modified overlay, a process that makes your exterior surfaces look great in half the time. To learn how concrete resurfacing can improve the appearance (and value) of your home, contact us or call 888-519-1699 for a free consultation. 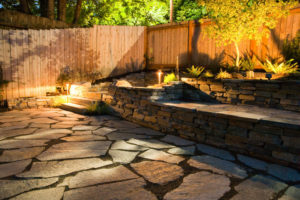 Patios can be resurfaced to give your backyard its own unique character. 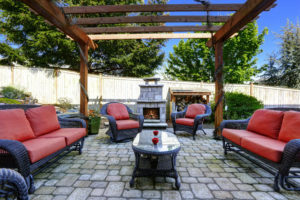 Even if your backyard is relatively subdued in appearance now, we can make it stand out with a stamped concrete patio. Or we can keep it simple and tasteful, renovating your patio to cover cracks and general wear and tear. Driveways can be resurfaced to erase the appearance of cracks and oil stains. This is a popular option for many homeowners, as the driveway is the first thing many people see as they approach your house. 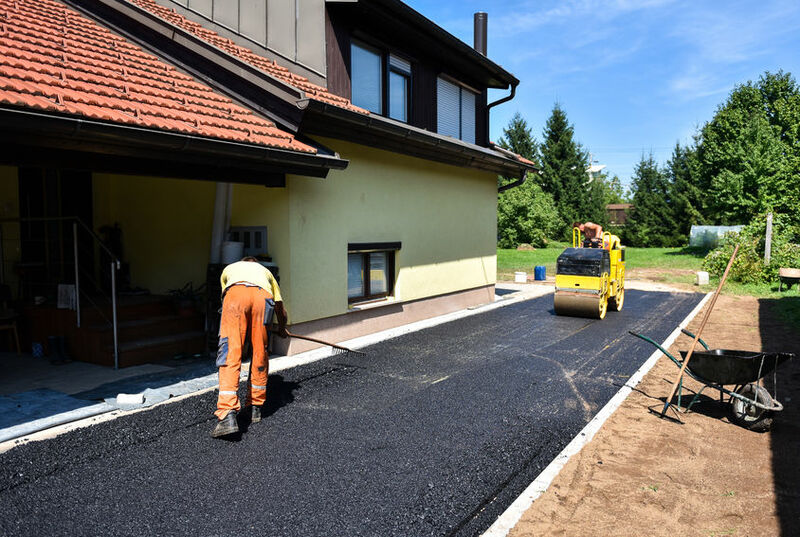 Replacing an old, cracked driveway with a stamped concrete driveway can boost curb appeal and make your home more attractive to potential buyers if you ever decide to put your house on the market. Concrete decks can also greatly benefit from our resurfacing services. A deck is like a patio, but without the cover. Concrete deck resurfacing is a simple way to make an otherwise plain backyard really shine. Walkways can greatly benefit from resurfacing, especially since they are among the most used walking surfaces in any home. Say goodbye to worn out concrete walkways, and let us create a unique look with our paver stones or stamped concrete resurfacing. Most of the time, the decks we resurface in Los Angeles are pool decks. And with more than 300 days of sunshine every year, it’s not all that surprising. 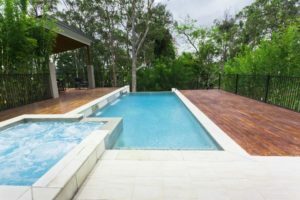 A stamped concrete resurfaced deck can make your pool, as well as the rest of your backyard, look better than ever.